The SSP uninterruptible power supply (UPS) comes with pure sinewave output and is ideally suited for computers, servers, point of sale (POS) systems, telecom, LAN, and other computer peripherals. 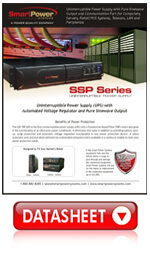 The SSP-TBF UPS is the first UPS with a Transformer-Based Filter (TBF™), a high-tech electronic power conditioner. 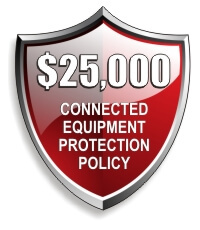 It eliminates line noise in addition to providing battery back-up, surge protection, and automatic voltage regulation functionality in one power protection device. It offers automatic save and shut down software for unattended computers and is available in a variety of models to meet your power protection needs.